The Vancouver Foundation, established in 1943, is Canada’s largest community foundation. The organization helps to support hundreds of charities and projects that address community needs across British Columbia. 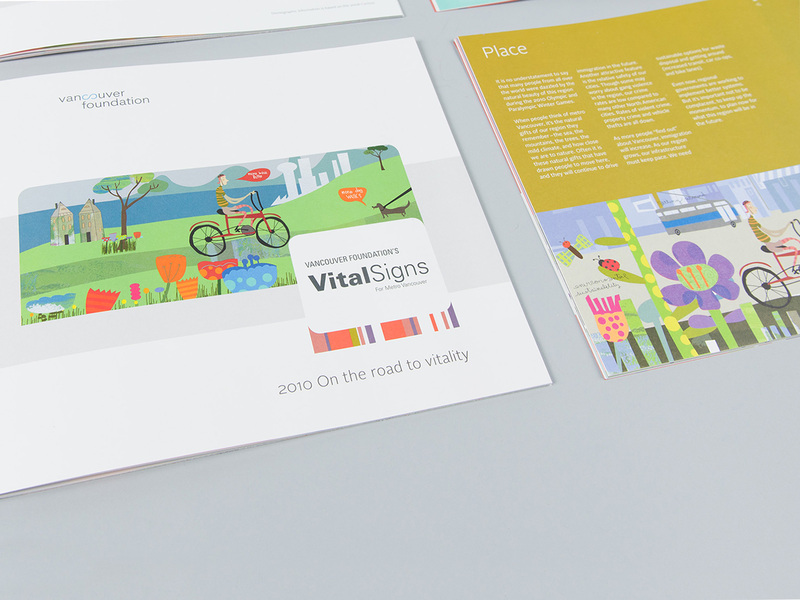 The Foundation’s Vital Signs 2010 combines the results of a public opinion survey with research to report on the livability and quality of life in our region. 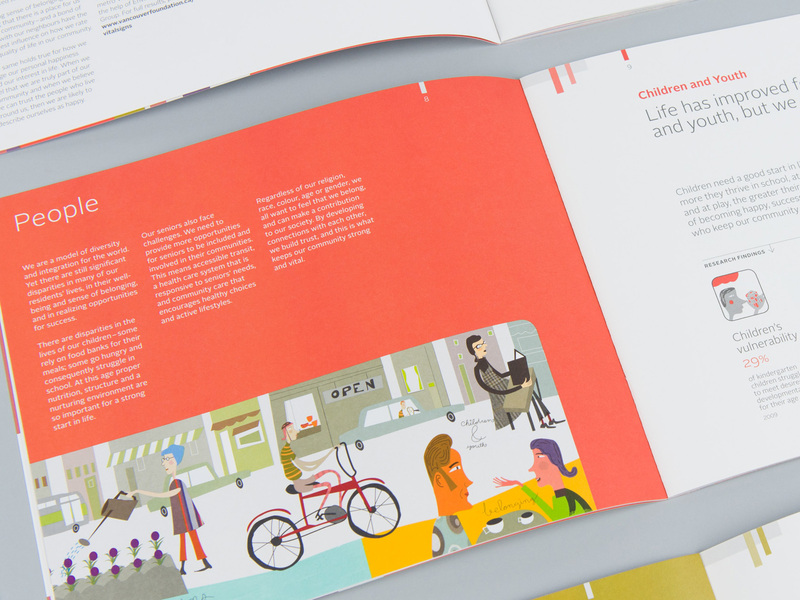 Signals developed an illustrative/animated approach to engage readers and viewers, featuring custom illustrations for specific areas and statistics. 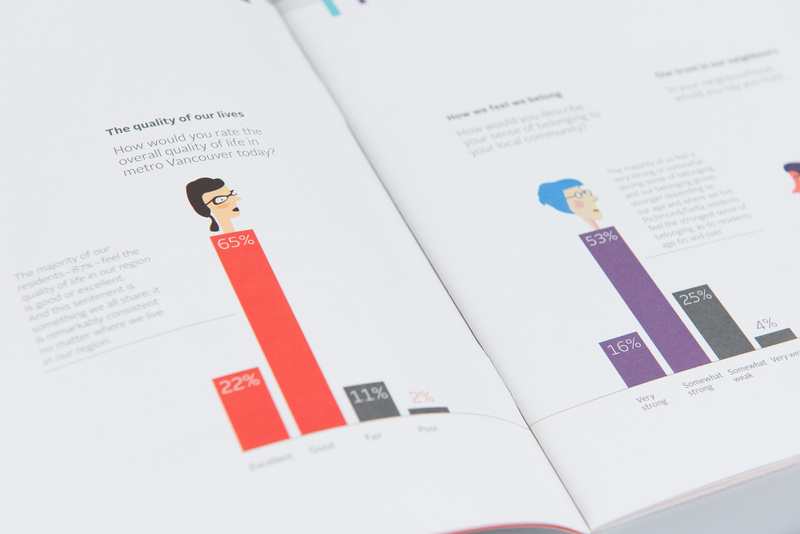 The print version presents the highlights of the report and the online version provides additional levels of data. 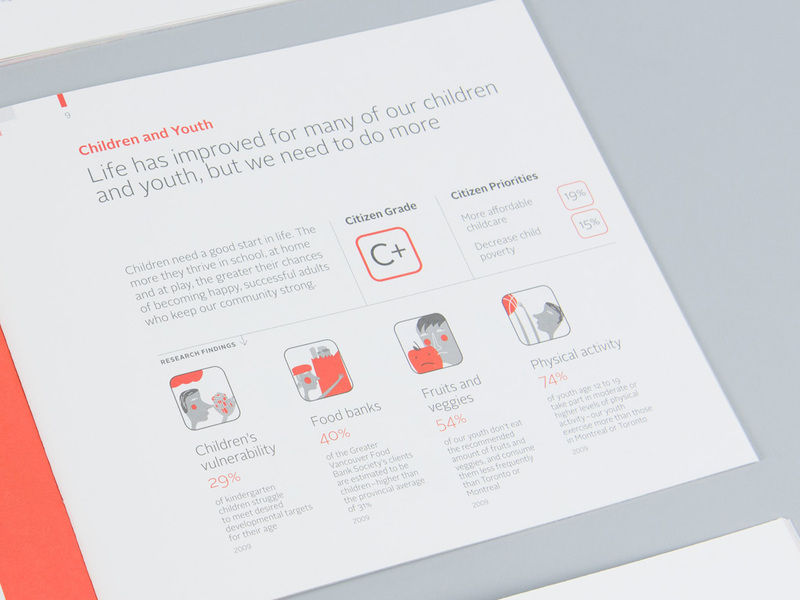 We also designed and produced a video introduction that serves to both preview Vital Signs and intrigue viewers to explore the full report.